Moe's Southwest Grill is also informally known as Moe's. It is a casual style restaurant and is headquartered in Atlanta, Georgia. Raving Brands founded the restaurant in December 2000. However, in August 2007, FOCUS Brands re-acquired the company, 2007. FOCUS Brands is a global franchisor of more than 3,300 units such as Cinnabon, Carvel Ice cream, Schlotzsky's, Auntie Anne's locations and Moe's Southwest Grill. According to 2007 report, the restaurant had operations in 35 states. Paul Damico is the President of this restaurant. Currently Moe's Southwest Grill serves in more than 460 locations in United States as well as abroad. There are currently 1 consumer reviews about Moe's Southwest Grill available. Share your review. My daughter in law has a disability and uses a service dog. She and my son went to Moes in Rocky Point NY and were discriminated against by a very rude service person who told them"you can't bring a dog in here" the dog was wearing his service vest and my son informed the woman that he was a service dog and that you cannot discriminate against the person with a service dog. Her reply was "She's not blind is she" then she asked for their papers which were at home and it is against the law to ask for the papers. My family left and later my son contacted the manager who said he was sorry but she is his best waitress. He told my son to come back and he would comp. them a meal. A day or so later my son did go back with the paperwork in order to educate the manager and his staff. Last week they did go back and the manager came to them and told them their meal would be free. My son informed him that he did not need his free meal instead he and his wife needed an apology form this woman. The manager did not think that was necessary, but my son did feel it was necessary. The manager approached the woman and she was visibly shaking her head, then he said something that appeared funny to her so she started laughing. She did come to the table and said "You were supposed to bring paperwork for me to see" My son said "you really need to apologize to my wife, you discriminated against her and you did that once before so we just left," Her response was "Well now you are insulting me,if you were insulted im sorry,but you did not produce papers" My family left again and this woman is still working at that facility. I guess the employee is more important than any law!!! She ought to be fired and the manager should be disciplined for allowing that to be perpetuated. Friend have been very supportive and have informed us that we should contact the association for people with disabilities and report the discrimination. Today on his face book page there are so many supporters who want to go to protest in front of the store. One of my sons friends owns a pet store and she has posted a sign that Moes in Rocky Point discriminates against service dogs; Her customers are horrified . I do not know if contacting you will make any difference, but I will wait to hear from you, before I take further action. My son is an educator and he has informed his class about those people with service dogs, but he said this woman is not educated. Sincerely, veronica guzzone. 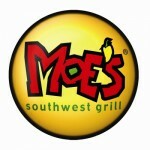 Please take a note that you are about to post a public review about Moe's Southwest Grill corporate office on CorporateOffice.com. This review will be public, so please do not post any of your personal information on this website. If you would like to contact the corporate offices of Moe's Southwest Grill, please use their contact information such as their phone number, website, and address listed above to contact them. However, sometimes staff from Moe's Southwest Grill headquarters do read the reviews on this website.